A 6 foot Bamboo Gridwall Display helps to grab the attention of your consumers. 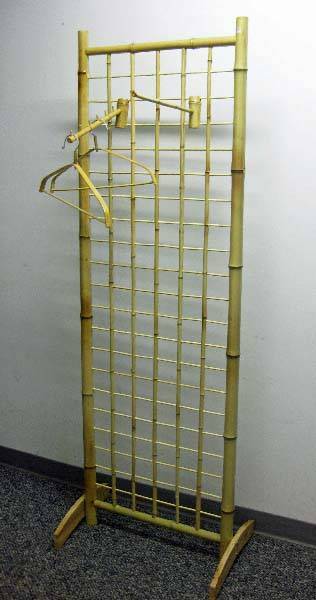 The panel of this freestanding bamboo fixture is spaced approximately three inches on center to accommodate the standard sized metal grid wall accessories. Bamboo displays offer you maximum flexibility when configuring your store setup and decor. Constructed from 100% natural bamboo materials, this eye-appealing display fixture adds a type of serenity feel when used in health food stores, spa scenario's, nail salons and more. Add the optional bamboo waterfall pegs or the face-out style pegs to this bamboo display to keep the wood theme going. 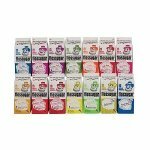 You will get a set of five for either hook you choose or order both for a mix and match decor. Include a little style into your daily routine when advertising clothing and garments. Order your wooden store display fixture today! 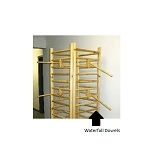 Log Wood Dowel Rack Waterfall - 16"